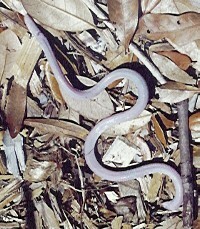 The Florida worm lizard is the only ringed lizard species found in Florida. 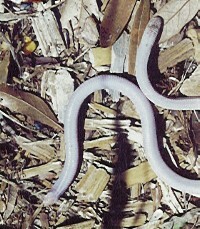 The Florida worm lizard looks like a pale earthworm. On closer inspection, it looks, moves, and feels more like a blind snake. 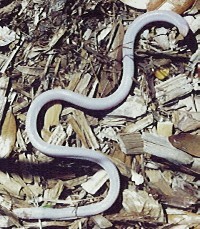 Color ranges from a fleshy color to pale pink. 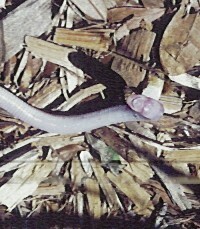 The nose and tail may be darker. The mouth is recessed to protect it while burrowing. A persistent burrower, they are sometimes seen when they pop up from beneath leaf litter, especially if they get wet, and hurry back underground.